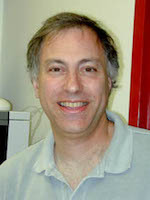 Dr. Steven Jacobson, Senior Investigator in the Division of Intramural Research, National Institute of Neurological Disorders and Stroke, is the recipient of the 2013 ISNV Paradigm Builder Lectureship award. Dr. Jacobson is recognized for his scientific accomplishments and leadership in unraveling the mechanisms of infection investigating Human Herpes Virus 6 (HHV 6A and B) and Human T Lymphotropic Virus Type 1 (HTLV-1) in neurologic diseases as well as the immunological complexities of T cell involvement in the pathogenesis of the autoimmune disease, multiple sclerosis (MS). In order to bring new insights into viral induced neurological diseases, Dr. Jacobson’s research programs have consistently had to develop new technical approaches that could be applied to identifying viral gene products, human immune response to viral antigens, and potential therapies for patients with central nervous system infections. Among such methods has been the novel use of electrochemoluminescence in the identification of anti-viral antibodies in CSF, cytokine biomarkers and molecular inhibitors of immune activation in HTLV- 1 infected patients, gene amplification international standards across laboratories for HTLV-1 and potential use of digital droplet polymerase chain reaction techniques. Along with colleagues in radiology, Dr. Jacobson has also helped develop non-human primate models for MR imaging techniques of white matter tracts in marmosets and for positron emission tomography (PET) techniques for glial activation in MS patients using a novel translocator protein ligand. Dr. Jacobson has been a global leader in the research on HTLV-1 that causes the neurological disease HAM/TSP or HTLV-1 Associated Myelopathy/Tropical Spastic Paraparesis, characterized by inflammatory infiltrates in the brain and spinal cord. There is a high level of HTLV-1 specific CD8+ T cells associated in the lesions as well as in the blood and unexpectedly in the CSF. Patients with HAM/TSP also show strong antibody responses to HTLV-1 antigens. While the population in general may be infected with HTLV-1, only a small number of individuals develop neurological disease. Dr. Jacobson’s research has recently identified a quantitative difference in the antibody responses among different classification of virus infected individuals. Using a very sensitive luciferase immune precipitation assay for detecting leukemia (ATL) patients. Further work on antibodies in these patients revealed that a subset of infected patients develop antibody to the product of the HTLV-1 leucine zipper gene necessary for the pathology of disease. While this antibody did not discriminate ATL from HAM/TSP patients, it did correlate with limited CD4+ T cell activation in the HAM/TSP patients. Information such as this helps progress toward an algorithm to separate groups of patients with HTLV-1 infection. Dr. Jacobson has also been at the forefront of investigating whether there is a viral etiology or role in the pathology of multiple sclerosis, considered an autoimmune disease directed by T cell immunity. There have been many viruses associated with MS but only the human herpes viruses have remained reasonable candidates. Both human herpes virus 6 and Epstein Barr virus have persistently been linked to MS patients. So it may not be surprising that Dr. Jacobson’s work identified the presence of oligoclonal bands in the CSF that maintain antibodies to both viruses with some evidence of very low levels of viral DNA in the CSF. Dr. Jacobson started his career on neurovirulent viruses while at Rensselaer Polytechnic Institute in New York working on LCM and other agents with a profile of persistent immune mediated biology. He joined the NINDS in the NeuroImmunology Branch (NIB) as a staff fellow shortly after completing his doctoral work in 1981. He became a Section Chief in Viral Immunology and has been the Acting Branch Chief of the NIB for the last several years. He has been a Multiple Sclerosis Fellow, recipient of NINDS Merit Award, NIH Director’s Award, served on many international professional society panels and boards including the HHV-6 Foundation, the International Retrovirology Association and currently the ISNV Board of Directors. Dr. Jacobson was also the first Vice President of the ISNV in 1998. The ISNV is honored to recognize Dr. Steve Jacobson as the 2013 recipient of the Paradigm Builder Lectureship.